The Next Stage Project (TNSP) is a global dance company creating performance opportunities and experiences to help dancers further their careers and realize their dreams. By forming partnerships between selected artists from around the globe, creating and seeking national and international venues to perform our works, TNSP aims to push artists to their next level and to challenge and encourage creative artistic growth through dance, choreography, performance, education and exchange programs. Company dancers are selected for their commitment, passion, talent and genuine interest in collaborating with the Artistic Directors. The Next Stage Project is known for it’s organic movement style and exposing the space beyond one's kin-sphere in a satisfying combination of full body movement and small obscure interactions, portrayed by talented, strong and expressive dancers. Creating and working fast and furious, the work thrives on passion for dance - always in the moment and letting inspiration lead the way. 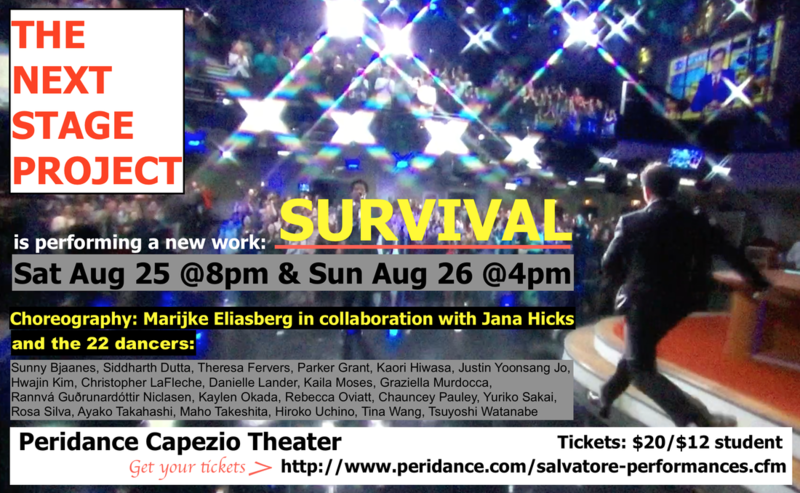 The Next Stage Project performed our work SURVIVAL at APEX at the Peridance Salvatore Capezio Theater, the Contemporary Dance festival in Brooklyn and The Julia Ehrstrand Workshop. 22 passionate dancers, critical/political-ness, splashes of humor/witi-ness, and video projection featuring Stephen Colbert (our hero). Julia Ehrstrand, Max Stone and The Next Stage Project (Marijke Eliasberg & Jana Hicks) present an evening of dance, audacity, and passion featuring choreography created with dancers during their two-week Workshop along with the work of Guest Artists. "LET'S TALK ABOUT LOVE" - a dance conference that the choreographers gather to present their work related to "LOVE" to think about our future in our world especially the places affected by armed conflicts, on March 30 (Friday) and 31 (Saturday) 2017, at Triskelion Arts, Brooklyn. All the tickets' income will be donated to the places affected by armed conflicts to support improving the medical environment through Doctors Without Borders (MSF). Spend your nights to think about our future and share the love! 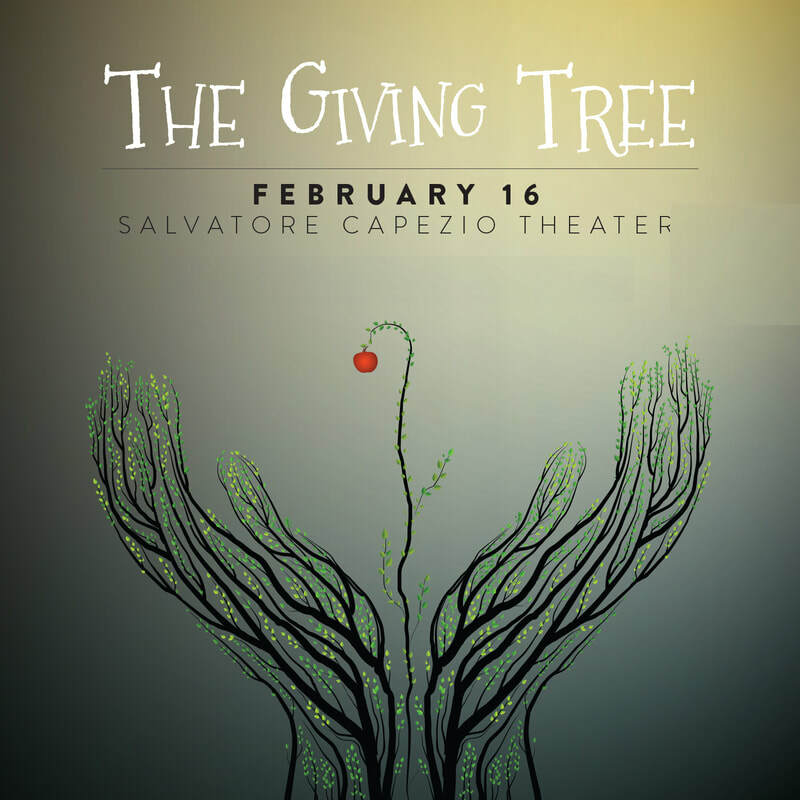 > FEB 16 ​ The Next Stage Project will perform their new work: retsae at The GIVING TREE. 100% of proceeds is going to charity! > MARCH 31 ​ The Next Stage Project will perform at The GIVING TREE. 100% of proceeds is going to charity! > Date soon to be announced! 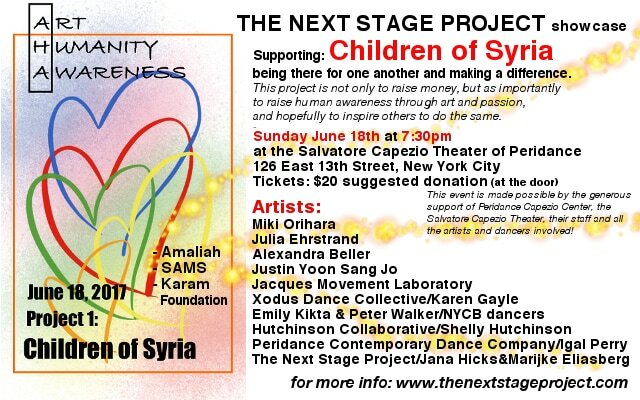 ​ The Next Stage Project DANCER EVENT at NOW Yoga studios! THE NEXT STAGE PROJECT is a fiscally sponsored member of New York Live Arts, Inc., a non-profit tax-exempt organization. Click here for more information! If you want to make a tax deductible financial donation online: Please click here! Since the inception of TNSP in 2002, we have been strong supporters of humanitarian causes and have facilitated/and or shared in performance showcases which provide relief efforts. ​These AHA projects are not only to raise money, but more importantly to raise human awareness through art and passion, and hopefully to inspire others to do the same! Photo credits on this site: Bill Hebert, Bobbie Marchand, Deb Swihart Photography, Krista Bonura Photography, Melissa Birnbaum, Bas de Bruijn, Marijke Eliasberg, Danielle Halsema, Jana Hicks, Ruby Hoette, Todd Burnsed, Florence Baratay, Noel Norcross, Jeff Weston, Gracious Entertainment, Todd Carroll, Eric de Greef, Vesna Stajic, Sunny Bjaanes, Marina Yuri, Marie Bru Eide and more!